Here are the interstate road conditions listed by state. In addition to winter weather travel reports and road closures, you’ll also be able to see construction delays, lane closures, chain law status, and possible detours. 5-1-1 is a great resource! Don’t forget that most states have a 5-1-1 system. Just call 5-1-1 from your cell phone and you’ll automatically be directed to an automated roadway travel information system. These recorded messages are specific to the state you’re in and may also give information for surrounding states. They will always have updated information about interstate road conditions as well as info for many smaller roads. NOTE: The 5-1-1 traveler alert system is currently being implemented nationwide, but not all states use this system yet. Since Alaska uses the 5-1-1 telephone information service, you may dial 5-1-1 anywhere within the state boundaries to receive recorded message of roadway condition reports. For Alaska weather related roadway conditions only (no construction reports) you may dial 800-478-7675. This only work within state boundaries. If you’re calling from out of state, you may obtain Alaska roadway condition at 886-282-7577. There are a few different ways to obtain Arizona road conditions. Arizona is a state which uses the 5-1-1 traveler information phone system. If you’re anywhere in the state, you may dial 5-1-1 to receive current Arizona road conditions via a recorded message including interstate road conditions. If you need to obtain Arizona road conditions but are outside of the state, you may dial 888-411-7623 for the latest Arizona roadway reports. Arkansas road conditions can be obtained by several different methods. Arkansas does NOT use the 5-1-1 traveler phone system for interstate road conditions. For Arkansas weather roadway information only, motorists should call 800-245-1672. No construction reports will be available at this number. For full Arkansas road conditions including construction and weather related reports, motorists should call 501-569-2000. This number only works within state boundaries. If you are out of state but still wish to obtain Arkansas road conditions, please dial 501-569-2227. Finally, you may sign up for the Arkansas roadway conditions Twitter feed @AHTD. California road conditions are available from a variety of sources. Since California uses the 5-1-1 phone system, you may dial 5-1-1 within state boundaries for updated roadway conditions including California road closures, construction reports, interstate road conditions, and weather conditions. If you’re only interested in hearing California weather related road conditions and closures, you may dial 800-427-7623. Colorado road conditions can be found in a few different places. Since Colorado is a 5-1-1 equipped state, you may dial 5-1-1 anywhere within state boundaries to obtain updated recorded messages about the latest Colorado road conditions and interstate road conditions. Alternatively, motorists may dial 877-315-7623 for Colorado travel information. However, this number only works within state boundaries. For those seeking Colorado interstate road conditions outside of the state, dial 916-639-1111. Connecticut road conditions can be obtained from a few different sources. Within state boundaries, motorists can dial 800-443-6817 for the latest Connecticut road conditions. Please note that this number only works within state boundaries. For weather related road closures and delays only (no construction information), dial 860-594-2000. Delaware road conditions can be obtained either over telephone via recorded messages or on the web. For those dialing within state boundaries, dial 800-652-5600. For interstate road conditions from outside state lines, dial 302-760-2080. Florida road conditions can be obtained via telephone or through the web. Since the state of Florida uses the 5-1-1 telephone road conditions system, motorists can dial 5-1-1 anywhere within state boundaries for updated recorded messages on roadway conditions. 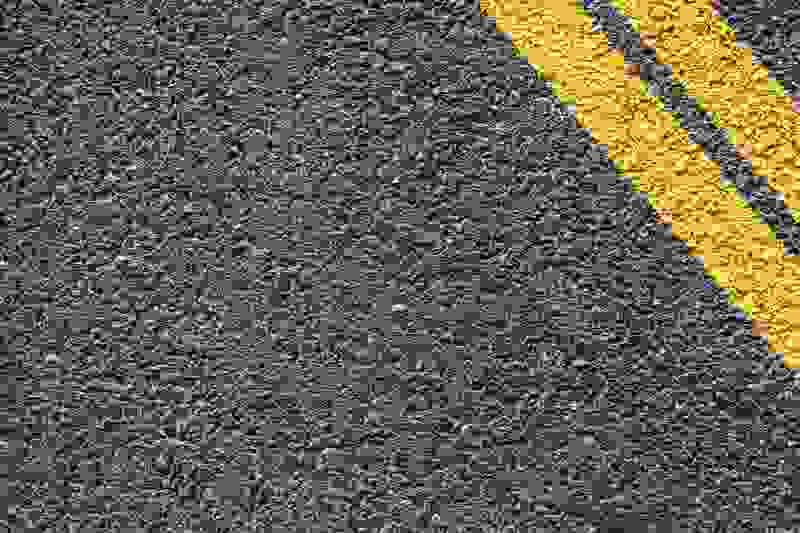 Georgia road conditions can be obtained from multiple sources. Georgia is equipped with a 5-1-1 traveler alert phone system. Motorists can dial 5-1-1 anywhere within Georgia state boundaries for updated messages on current road conditions. Georgia interstate road conditions can also be obtained by dialing 877-694-2511 or 404-635-8000. While the state of Hawaii doesn’t have a specific system in place for weather related roadway reports, traffic and construction information can still be obtained. Motorists should dial 808-536-6566 for up to date construction information. Idaho road conditions can be obtained through a few different sources. Since Idaho uses the 5-1-1 phone system, motorists can call 5-1-1 within state boundaries for updated recorded traffic information including Idaho road closures, interstate road conditions, and weather alerts. If calling from out of state, Idaho roadway and Interstate road conditions can be obtained by dialing 888-432-7623. While the state of Illinois currently doesn’t offer a 5-1-1 traveler information system for interstate road conditions, there are still few ways to receive updated information about weather delays, construction delays, Illinois road conditions, and road closures. For recorded messages, motorists should call 800-452-4368. Indiana has two phone numbers to obtain Indiana road conditions as well as a website to obtain official and updated highway weather related conditions. Please note that the below number only give weather related travel info and do not include other delays and closures such as construction projects. For information not related to weather, please visit their website listed below. Motorists may call toll free 800-261-7623 for recorded messages with updated weather related closures and delays. An alternative number with the same recorded message is 317-232-5533. Iowa uses the 5-1-1 traveler advisory system which allows drivers to dial 5-1-1 anywhere within state boundaries (including from cell phones) to obtain updated recorded messages on specific Iowa road conditions. If calling from out of state, you may dial toll free 800-288-1047. to obtain updated information on Iowa road conditions, Iowa road closures, and more. Kansas road conditions can now be obtained through the 5-1-1 traveler information system. Motorists can dial 5-1-1 anywhere within the state boundaries of Kansas, including from cell phones, to receive updated messages about roadway delays including major interstate closures, weather delays, construction delays, and more. Kentucky is now part of the 5-1-1 system which provides travel alerts including interstate road conditions, roadway closures, and more. Simply dial 5-1-1 anywhere within state boundaries (including cell phones) for updated recorded messages. If calling from out of state, travelers should dial 866-737-3767. While Louisiana does have a partial 5-1-1 system in place, there is currently no 5-1-1 phone system in operation. However, there are still a couple different ways to obtain Louisiana road conditions. Those wishing to obtain Louisiana road conditions via a toll free phone number may do so by dialing 888-762-3511. This webpage will give you detailed traveler information for Louisiana including roadway closures, travel alerts, weather alerts, construction projects, and more. Obtaining Maine road conditions has become much simpler with the implementation of the statewide 5-1-1 traveler advisory system. Motorists may dial 5-1-1, anywhere within state boundaries (including cell phones) for updated recorded messages. This includes interstate road conditions, road closures, weather alerts, construction projects, and unforeseen travel delays. For travelers seeking information by telephone outside the state limits of Maine, there are two different phone numbers available. First, you can call toll free 866-282-5650. Alternatively, you may dial the local number which is 207-624-3595. Maryland road conditions may be obtained using two telephone numbers. But it’s important to note that Maryland is currently not a part of the 5-1-1 phone system. Motorists should dial toll free 800-543-2515 or dial their local number which is 410-582-5650. These numbers will give updated Maryland roadway information reports and interstate road conditions. Massachusetts road conditions may be obtained from the statewide 5-1-1 telephone traveler information system. Anywhere within state limits, motorists may dial 5-1-1, including from cell phones, to receive updated recorded traveler and motorist alerts including Massachusetts road closures, interstate road conditions, highway alerts, and more. If calling from out of state boundaries, Massachusetts road conditions may be obtained by calling 617-374-1234. While Michigan doesn’t have a very good traveler information and alert system, there are still a few ways to obtain Michigan road conditions. Be advised that Michigan is currently not a part of the 5-1-1 phone system. For all roadway and travel hazards, motorists should call 800-381-8477. This number will give information about road closures in Michigan, weather alerts, interstate road conditions, etc. If you only want to obtain Detroit area construction updates and information, you can call 800-641-6368. Please note this number will not give information related to weather or closures other than planned construction projects. Minnesota road conditions may be obtained through several different sources. The 5-1-1 traveler advisory system is currently active in the state of Minnesota. This means, travelers can obtain information about Minnesota road closures, highway advisories, construction projects, and other delays by dialing 5-1-1 from any phone within state boundaries, including cell phones. For motorists calling out of state needing Minnesota road conditions, dial 800-657-3774. Alternatively, interstate road conditions may be obtained by calling 651-296-3000. Mississippi road conditions are available via telephone or via the internet. Currently, Mississippi is not a part of the 5-1-1 traveler information system, but they do have plan in place to implement it. For now, travelers should call 601-359-7017. This number will give updated information for Mississippi road closures, weather related info, and hurricane evacuation info when evacuations are in effect. Missouri road conditions can be obtained from many different sources, including 5-1-1. Since Missouri has a 5-1-1 motorist information system, you can dial 5-1-1 from any phone within state boundaries including from your cell phone. The 5-1-1 system will give recorded messages that will notify you to Missouri road closures, weather conditions, delays, and construction information. If calling from out of state, the 5-1-1 system can be reached by calling toll free, 877-478-5511. Two alternate phone numbers are, 888-275-6636 or 573-751-2551. Finally, for individuals who are only looking for construction related issues including road closures and delays, you may dial 800-222-6400. Montana road conditions can be obtained using the states 5-1-1 telephone system. Anywhere within state limits, motorists may dial 5-1-1 (including cell phones) to obtain Montana roadway weather information which includes the status of tire chain laws and interstate road conditions. Other delays such as Montana construction delays and road closures can also be obtained by using 5-1-1. If calling from out of state, dial toll free 800-226-7623 for updated Montana road conditions. Nebraska road conditions can be obtained via telephone using their statewide 5-1-1 traveler information system. You may dial 5-1-1 anywhere within state boundaries, including cell phones, for the latest Nebraska road closures, weather alerts, and other delays including construction projects. If calling from out of state, two numbers may be used to obtain Nebraska travel information; 800-906-9069 or 402-471-4533. Nevada road conditions may be obtained using the statewide 5-1-1 traveler information system. Simply dial 5-1-1 anywhere within state limits to obtain automated messages about Nevada road closures, chain law status, weather alerts, interstate road conditions, and construction information. If calling outside of state boundaries, motorists should dial 877-687-6237 for the latest Nevada roadway alerts. New Hampshire interstate road conditions can be obtained using the statewide 5-1-1 traveler advisory system. Simply dial 5-1-1 from any land line or cell phone within state limits for updated New Hampshire road closures, travel weather alerts, construction delays, and any other pertinent highway information. For those wishing to obtain New Hampshire highway condition reports outside of the state, information is available 24/7/265 by calling 866-282-7579. New Jersey interstate road conditions are accessible from a number of sources. If within state boundaries, motorists should dial 5-1-1 from any phone, including cell phones, for the latest information on highway travel conditions, travel weather alerts, roadway closures, and interstate road conditions. For travel information and road conditions specific to the New Jersey Turnpike, travelers should dial 800-336-5875. Roadway alerts and information for the Garden State Parkway can be obtained by calling 732-727-5929. New Mexico interstate road conditions can be obtained by calling their roadway advisory phone number at 800-432-4269. This number will give information about weather alerts, New Mexico road closures, highway information, construction alerts, and any other urgent travel information. New Mexico does not currently operate a 5-1-1 system, but plans are in place for implementation. New York road conditions can now be obtained using their newly established 5-1-1 traveler information line. Simply dial 5-1-1 anywhere within state boundaries from any phone (including cell phones) and you’ll be connected to a recorded message which is updated with New York road closure information, weather alerts, interstate road conditions, and other urgent traveler information. If calling from out of state, the New York traveler information line can be reached by dialing 518-457-6195. For travel information specific to the New York Thruway dial 800-847-8929. North Carolina road conditions can be obtained anywhere within state lines by using their automated 5-1-1 traveler alert system. Simply dial 5-1-1 anywhere within the state to get the latest on North Carolina road closures, hurricane evacuation routes, weather information, and construction alerts. If calling from out of state, the traveler advisory phone system can be reached by dialing 877-511-4662. North Dakota road conditions are available 24/7/365 via the statewide traveler advisory automated phone system. Simply dial 5-1-1 within state lines to obtain the latest on North Dakota road closures, highway closures, interstate road conditions, weather alerts, construction delays, and urgent motorist information. Ohio road conditions are available from several different resources. First, Ohio has a traveler advisory phone system which is accessible by dialing 5-1-1 anywhere within state lines. Sometimes this number will give info about statewide conditions, but normally it will only cover major cities. Alternatively, info can be obtained by calling 614-466-7170. Please note, this number only provides weather related travel information. This page gives Ohio road conditions, traffic alerts, construction alerts, and other advisories for the entire state of Ohio. While Oklahoma currently does not operate a statewide 5-1-1 travel advisory phone system, there are still a couple ways to obtain Oklahoma road conditions both by phone and via the internet. Travelers may dial toll free 888-425-2385 or 405-425-2385. Please note these number will only give weather related traffic information for the state of Oklahoma, but do include road closures and information for all major interstates and highways in Oklahoma. Oregon road conditions are accessible using the statewide 5-1-1 traveler alert system. Simply dial 5-1-1 anywhere within the Oregon state boundaries for Oregon road closure information, tire chain law status, construction delays, and urgent travel alerts. If calling from out of the state, the traveler advisory system can be reached by calling toll free 800-977-6368 or 503-588-2941. Pennsylvania road conditions are now available using the Pennsylvania 5-1-1 traveler info system. Simply dial 5-1-1 anywhere within state lines for the latest roadway information including PA road closures and weather impacts. Alternatively, within state boundaries you may dial 888-783-6783. Please not this number will not work if calling out of state. If you’re seeking Pennsylvania travel conditions from another state, call 717-783-5186. Rhode Island road conditions can be accessed using their fully automated 5-1-1 travel advisory phone system. Call 5-1-1 if you’re within state boundaries for the most up to date information on Rhode Island road closures and travel alerts. If calling from outside RI, travelers may dial toll free 888-401-4511. South Carolina road conditions can be obtained using their newly implemented 5-1-1 traveler info line. You may dial 5-1-1 anywhere within the state of South Carolina for updated travel times, South Carolina road closures, and urgent messages. I have been unable to obtain a valid phone number to access the traveler info line from out of state. If you know of a valid number, please contact me. South Dakota road conditions can be obtained by using their statewide 5-1-1 road condition information line. Simply dial 5-1-1 anywhere within the state for the latest South Dakota road closures, travel weather information, and urgent alerts. If calling from out of state, the South Dakota Road Conditions line may be reached by calling toll free 866-679-3511. Tennessee road conditions are available anywhere within state lines by calling 5-1-1. This number will give info on Tennessee road closures, travel weather alerts, and other important motorist information. If calling from out of state you may access this system by dialing toll free 877-244-0065. Texas road conditions are now available using the newly implemented statewide 5-1-1 travel advisory phone system. Simply dial 5-1-1 from within state boundaries for information on Texas road closures, hurricane evacuation route information, travel weather advisories, and other urgent motorist information. If calling from outside Texas state lines, this system may be obtained by calling toll free 800-452-9292. Utah road conditions can be obtained by using the statewide 5-1-1 travel conditions and alerts system. Motorists can receive updated travel information and alerts by calling 5-1-1 anywhere in the state. Information includes the status of Utah chain laws, travel weather info, interstate road conditions, construction alerts, Utah road closures, and other urgent motorist information. If calling from out of state, this system can be reached by calling toll free 800-492-2400 or 866-511-8824. Vermont road conditions are easily obtainable using the statewide 5-1-1 traveler info line. Anywhere within state lines, you may dial 5-1-1 for updated Vermont road closures, travel weather alerts, and urgent motorist information. This system can also be accessed if calling from out of state by dialing 800-429-7623. Virginia road conditions are available using the statewide 5-1-1 traveler information automated phone system. If you’re within the state boundaries of Virginia, call 5-1-1 for the latest Virginia road closures, travel weather impacts, delays, and urgent motorist information. The traveler information system can also be reached out of state by calling 800-367-7623 or 800-578-4111. Washington road conditions are now easily accessible using the statewide 5-1-1 automated road conditions phone line. Simply dial 5-1-1 within state boundaries for the latest Washington road closures, snow chain law status, travel weather, delays, interstate road conditions, and urgent motorist information. If calling from out of state, dial 800-695-7623. West Virginia interstate road conditions can now be obtained using their newly implemented statewide 5-1-1 travel advisory system. If you are calling from within West Virginia, simply dial 5-1-1 for the latest West Virginia road closures, weather alerts, construction delays, and urgent motorist advisories. This system may also be accessed out of state by calling 877-982-7623, although this number will only give weather related road conditions for West Virginia. Wisconsin road conditions are now available using the statewide 5-1-1 travel advisory phone system. Simply dial 5-1-1 anywhere within state lines for updated Wisconsin road closure info, weather advisories, and urgent motorist information. To access this system out of state, dial 800-762-3947. Wyoming Road Conditions are available by dialing 5-1-1 anywhere within state lines. This automated system gives information on Wyoming road closures, chain law status, interstate road conditions, and any other weather related travel impacts for the state of Wyoming. If calling from out of state, you may dial 888-996-7623 for the latest interstate road conditions.